There are 5000+ meals pre-sold now, so that means that next to "Berry Good", we'll also start the production of "Carrot Break"
If you've pre-ordered ready already, we'll contact you to ask about how many of which flavours you'd like before shipment. 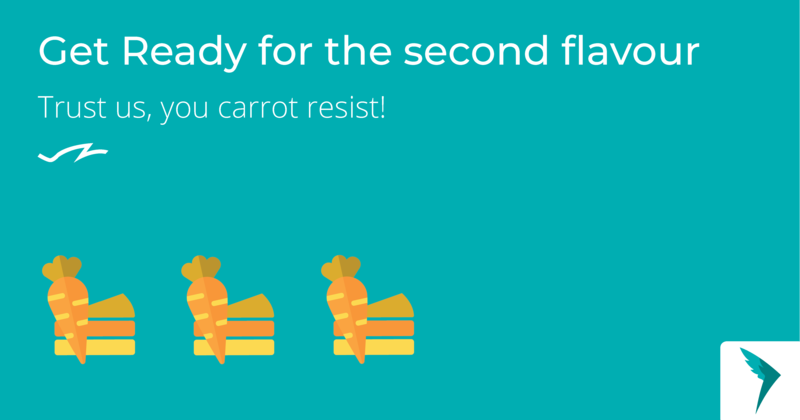 When would I be able to order the Ready Carrot Break trough the website after the pre-orders have ended? I would love to hear a response. I would like to combine order the Carrot Break with the Steady Shakes to save on shipping. When will I be able to do that? After the 15th of December? If you want to, you can pre-order Ready now and simply click the "ship with next 'normal' order when available" option in your cart. With that option enabled, you don't pay for shipping! Before the 15th we will contact every backer to ask them which flavour(s) they would like and you can switch yours to all Carrot Break if you'd like. If that's done you can just place a Steady-order (after the 15th) and the Ready will be added automatically as that would be your next 'normal' order. Another option would be waiting until Carrot Break is available in the regular shop, for the regular (higher) price. This will be after the 15th of December, indeed!